Pat Epps was born on February 23, 1934, in Athens, Georgia. He was commissioned a 2d Lt in the U.S. Air Force through the Air Force ROTC program at Georgia Institute of Technology on June 9, 1956, and after working for Boeing as a flight test engineer on the prototype of the 707, he went on active duty in the Air Force beginning February 6, 1957. Lt Epps next completed pilot training and was awarded his pilot wings at Reese AFB, Texas, in April 1958, followed by C-97 Stratofreighter Heavy Transition Training at Palm Beach AFB, Florida, from May to August 1958. 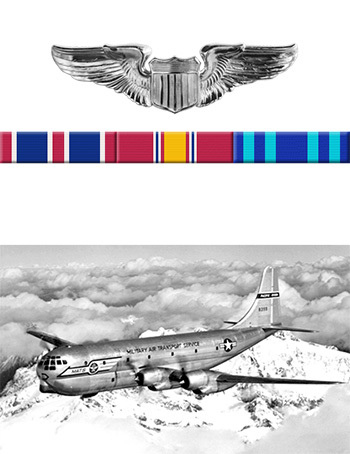 His first assignment was as a C-97 pilot with the 75th Air Transport Squadron at Travis AFB, California, from August 1958 to July 1960, followed by service as a Mechanical Engineer and C-123 Provider pilot with San Bernardino Air Material Area Detachment #16 at Walker AFB, New Mexico, from July 1960 to March 1963. 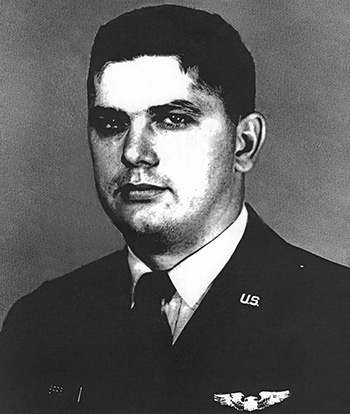 Capt Epps' final assignment was as an Aircraft Maintenance Officer with the 6th Field Maintenance Squadron at Walker AFB from March 1963 until he left active duty on June 4, 1963. He was honorably discharged from the Air Force Reserve on November 14, 1965. Pat is the son of Georgia Aviation Pioneer Ben T. Epps (1888-1937), and after leaving the Air Force, Pat started Epps Air Service (now Epps Aviation) at the Dekalb-Peachtree Airport in Atlanta, Georgia. In 1992 he directed the recovery of a P-38 Lightning fighter from under 260 feet of ice in Greenland, which was later named "Glacier Girl" and still flies today. Mr. Epps also owns the 57th Fighter Group restaurant adjacent to the Dekalb-Peachtree Airport. Pat and his wife Ann were married from 1956 until her death in December 2013.